Renowned British physicist Stephen Hawking warns human beings won’t survive “without escaping” from the “fragile” planet. His gloomy forecast is people will become extinct on Earth within current the millennium. Speaking at the Cedars-Sinai Medical Center in Los Angeles the 71-year-old scientist called for further exploration of space to guarantee the future of mankind, the Belfast Telegraph reports. "We must continue to go into space for humanity. If you understand how the universe operates, you control it in a way," Professor Hawking said, adding that "we won't survive another 1,000 years without escaping our fragile planet." 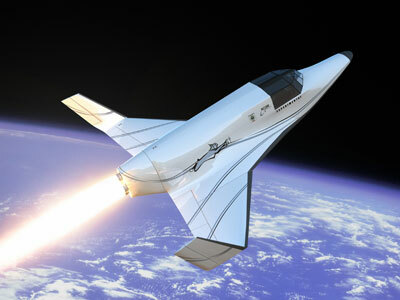 Space exploration has however been struggling with the global financial crisis and has too proven subject to spending cuts. In particular NASA's planetary science budget, which is seen as crucial to finding habitable planets, was slashed by $300 million this year. 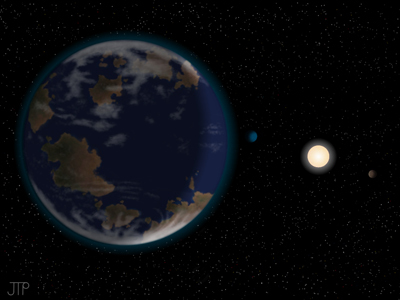 At the same time, the Mars race has not been abandoned. On Monday NASA concluded from Curiosity Rover’s findings that the red planet is gradually turning cold after losing a large part of its original atmosphere. 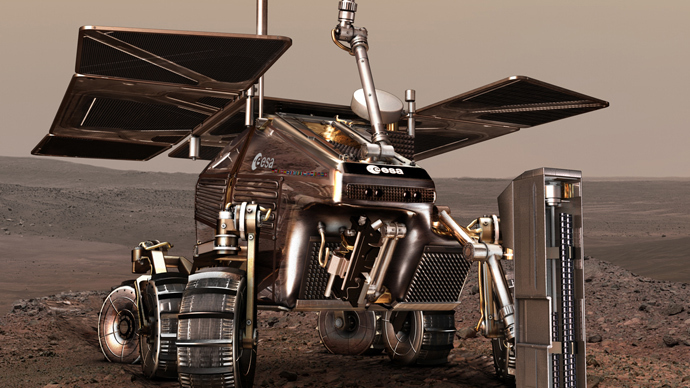 Russia, in its turn, has signed a deal with the European Space Agency to become a full-fledged partner in the ExoMars project, a new attempt to discover if there is life on Mars and eventually send a manned mission there. 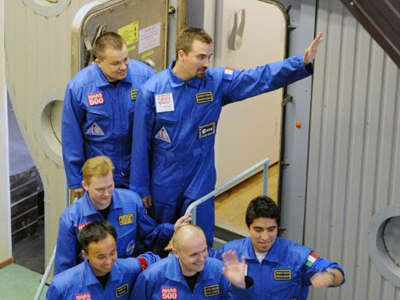 In 2010 and 2011, the Mars-500 experiment was carried out in Moscow: a group of six volunteers were locked inside a simulated spacecraft for 520 days – the time it would take to make a round trip to the planet. Back at the LA Medical Center, Hawking was touring a stem cell lab, which is focused on trying to slow the progression of Lou Gehrig's disease, also known as amyotrophic lateral sclerosis. He’s been suffering the incurable ailment, which attacks nerve cells in the brain and spinal cord that control the muscles, for 50 years. 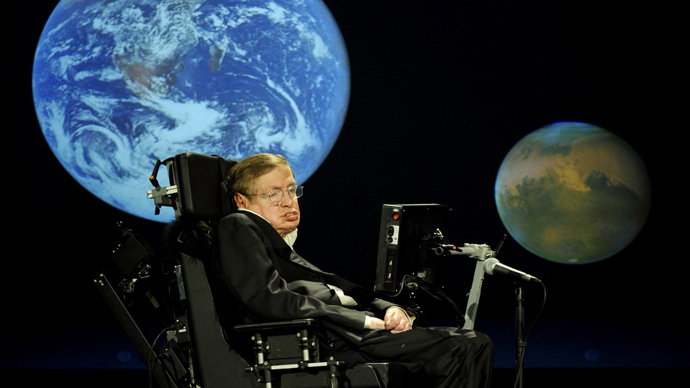 Director of Cedars-Sinai's ALS program, Dr. Robert Baloh, has admitted that he is unable to explain Hawking’s longevity, because people rarely live more than a dozen years with this diagnosis. “But 50 years is unusual, to say the least," Baloh said. Hawking was diagnosed with the neurological disorder while a student at Cambridge University at the age of 21. He is confined to a wheelchair and needs permanent assistance. The only movement he is able to do on his own is to twitch the cheek. He communicates with the rest of the world by means of the built-in wheelchair computer, which conveys the owner’s thoughts by a monotonous robot’s voice. "However difficult life may seem, there is always something you can do and succeed at," Hawking added speaking of dealing with his health condition. Despite his grave diagnosis, Professor Hawking has remained active. In 2007, he floated like an astronaut on an aircraft that creates zero-gravity by making parabolic dives. Hawking spent his career on decoding the Universe, working on black holes and the origin of matter. The Professor brought his esoteric physics concepts to the masses through his books, including “A Brief History of Time” published in 1988, which was sold 10 million copies worldwide.